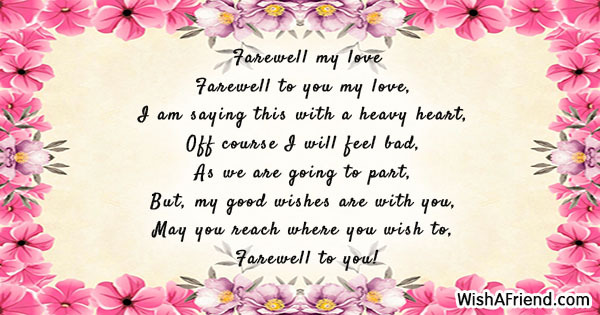 Browse through poems for farewell. 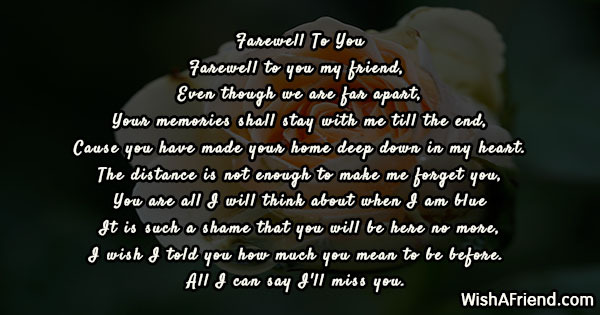 You can also share/send these poems for farewell to your friends via Text/SMS, Email, Facebook, Whatsapp, IM or other social networking sites. 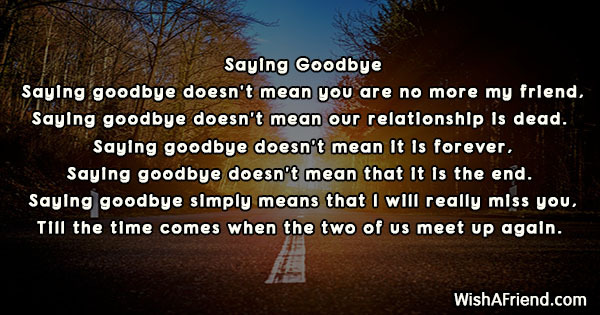 Saying goodbye doesn't mean our relationship is dead. 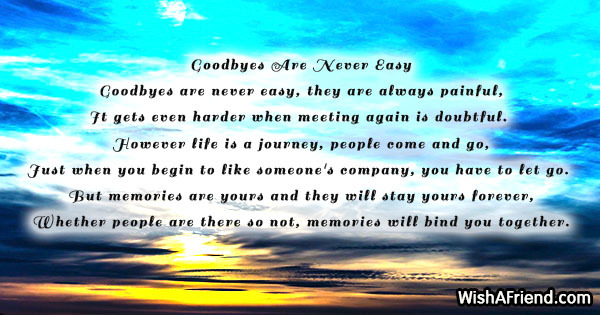 Saying goodbye doesn't mean that it is the end. 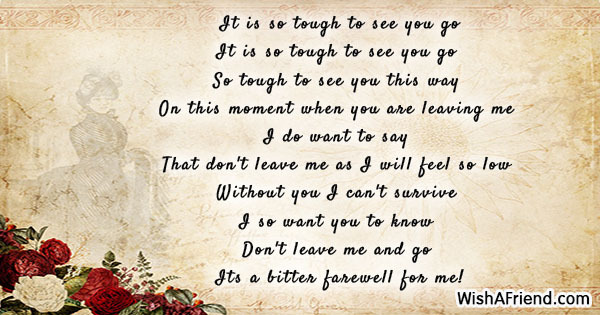 Till the time comes when the two of us meet up again. Something new always keeps coming by on our way. And forget the past for we have already given it a fair chance. 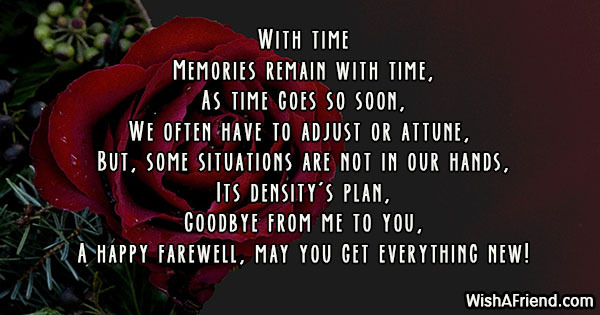 But little do you know that you are deep down in my memories. 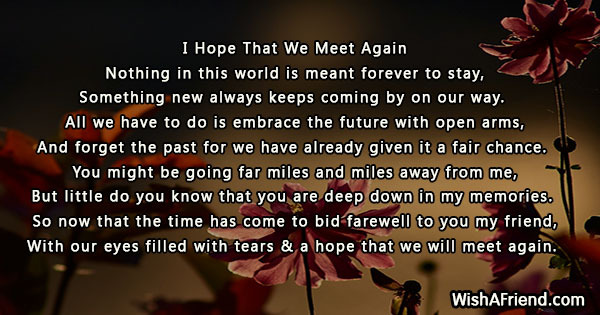 With our eyes filled with tears & a hope that we will meet again. Cause you have made your home deep down in my heart. I wish I told you how much you mean to be before. 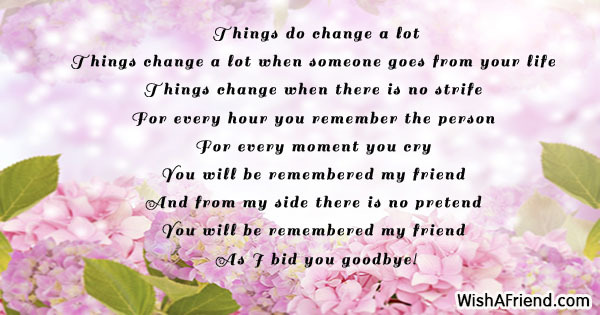 All I can say I'll miss you. 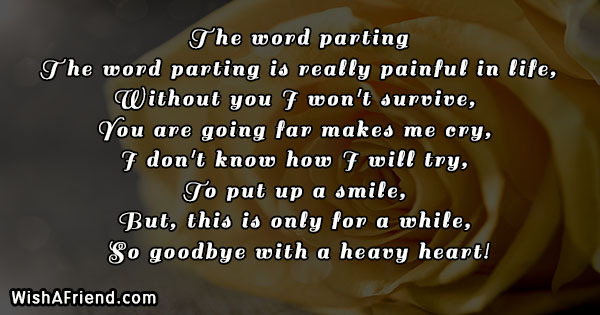 It gets even harder when meeting again is doubtful. Just when you begin to like someone's company, you have to let go. 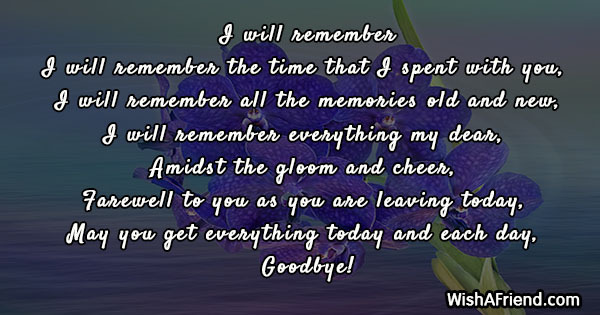 Whether people are there so not, memories will bind you together. 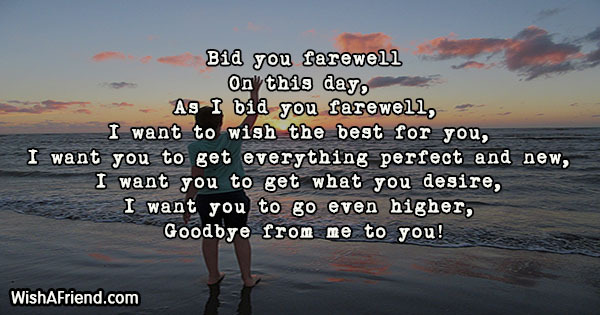 May you get everything in life and reach a new high! 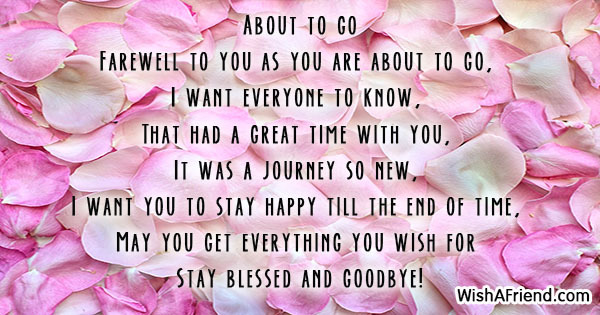 A happy farewell, may you get everything new! 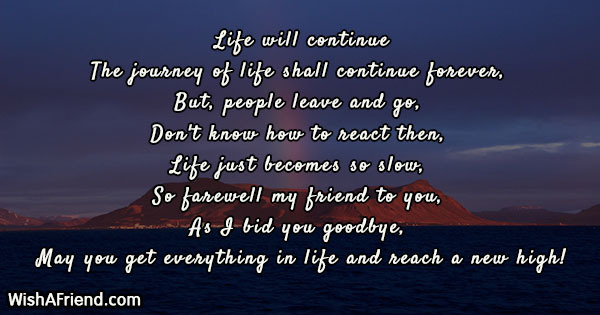 Goodbye from me to you! So that you never have to strive! Go and see the brighter side! 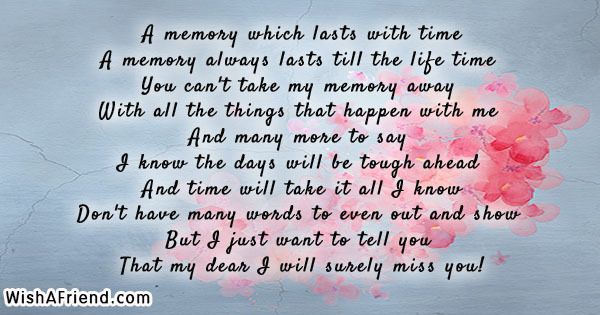 So goodbye with a heavy heart! 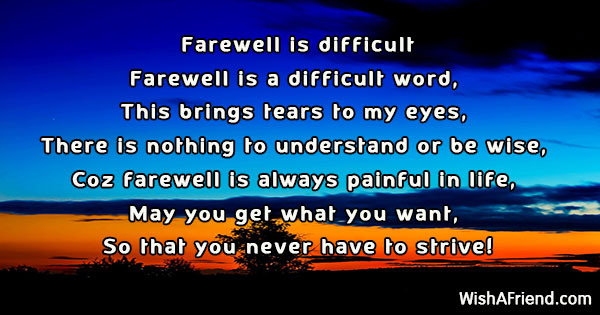 Its a bitter farewell for me! 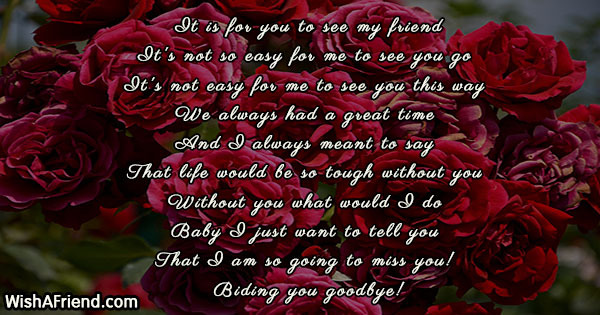 That my dear I will surely miss you! 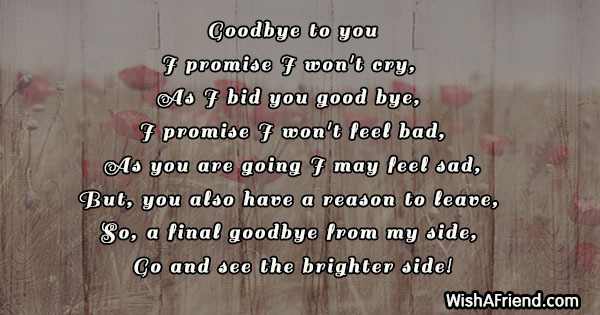 As I bid you goodbye! 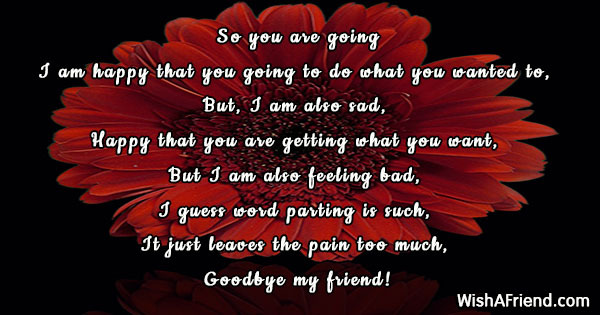 That I am so going to miss you!